Hanad Mustafe Musse is an American citizen of Somali origin and convicted would-be member of ISIS.Scott Shane, “6 Minnesotans Held in Plot to Join ISIS,” New York Times, April 20, 2015, http://www.nytimes.com/2015/04/21/us/6-somali-americans-arrested-in-isis-recruiting-case.html?_r=0. On April 19, 2015, Musse was arrested in Minneapolis and charged with conspiring to travel to join ISIS. He was taken into custody with Mohamed Abdihamid Farah, Adnan Farah, Abdurahman Yasin Daud, Zacharia Yusuf Abdurahman, and Guled Ali Omar, all Somali-Americans living in Minnesota.Laura Yuen and Mukhtar Ibrahim, “Feds charge six Minnesotans with trying to join ISIS,” MPR News, April 20, 2015, http://www.mprnews.org/story/2015/04/20/6-charged-with-trying-to-join-isis. 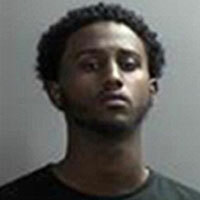 Also charged in the case were Hamza Naj Ahmed, Abdullahi Yusuf, and Abdirizak Warsame, the last of whom is believed to have acted as the group’s ringleader. One of the defendants’ associates, Abdiwali Nur, is believed to have successfully joined ISIS in Syria in May 2014.“United States of America v. Abdirizak Mohamed Warsame,” U.S. District Court for the District of Minnesota, December 9, 2015, 8, http://kstp.com/kstpImages/repository/cs/files/WarsameComplaint.pdf. Between November 6 and November 8, 2014, Musse attempted to take a bus from Minnesota to New York City, where he planned to leave from John F. Kennedy (JFK) airport and travel to Greece and then Syria.“Six Minnesota Men Charged with Conspiracy to Provide Material Support to the Islamic State of Iraq and the Levant,” April 20, 2015, United State Department of Justice, http://www.justice.gov/opa/pr/six-minnesota-men-charged-conspiracy-provide-material-support-islamic-state-iraq-and-levant. He was stopped at JFK airport by federal agents. When interviewed, Musse told the agents that he was traveling to Greece to “chill,” and that he didn’t know anyone there, according to a report by Minnesota Public Radio.“Six Minnesota Men Charged with Conspiracy to Provide Material Support to the Islamic State of Iraq and the Levant,” April 20, 2015, United State Department of Justice, http://www.justice.gov/opa/pr/six-minnesota-men-charged-conspiracy-provide-material-support-islamic-state-iraq-and-levant. In February 2015, recorded phone conversations revealed Musse and his co-conspirators discussing further plans to leave the United States and join ISIS, this time possibly via Mexico. Musse was in the process of obtaining a fake passport when his father confronted him, forcing Musse to halt his travel plans.Laura Yuen and Mukhtar Ibrahim, “Feds charge six Minnesotans with trying to join ISIS,” MPR News, April 20, 2015, http://www.mprnews.org/story/2015/04/20/6-charged-with-trying-to-join-isis. Following his April 2015 arrest, Musse faced terrorism charges as well as charges of financial fraud for allegedly using his college financial aid money to purchase the airline tickets to Greece.Paul McEnroe, “Fraud charges added to ISIL terrorism case against 2 Twin Cities men,” Star Tribune, May 19, 2015, http://www.startribune.com/fraud-charges-added-to-terrorism-case-against-2-twin-cities-men/304258871/. On September 9, 2015, Musse pled guilty to one count of conspiracy to provide material support to a foreign terrorist organization. Two other charges were dropped as part of his plea deal.“Minnesota man accused of plotting to join ISIS pleads guilty,” CBS News, September 9, 2015, http://www.cbsnews.com/news/minnesota-man-accused-of-plotting-to-join-isis-pleads-guilty/. In March 2016, Minnesotan U.S. District Judge Michael Davis ordered that Musse—alongside Abdurahman, Warsame, and Yusuf—be evaluated for a de-radicalization program.Stephen Montemayor and Mila Koumpilova, “Terror suspects will test deradicalization program,” Star Tribune, March 2, 2016, http://www.startribune.com/judge-orders-de-radicalization-study-for-4-terror-defendants/370806141/. German terrorism expert Daniel Koehler determined that Musse was at a high risk for reoffending.Esme Murphy, “German Expert: U.S. Way Behind In Terrorism De-Radicalization,” CBS Minnesota, September 21, 2016, http://minnesota.cbslocal.com/2016/09/21/deradicalization-expert/. On November 15, 2016, Musse was sentenced to 10 years in prison by Judge Michael Davis. When asked directly if he was a terrorist, Musse responded, “I am a terrorist, your honor.”Associated Press, “Minnesota Man Tells Judge, ‘I am a Terrorist,’ Gets 10 Years,” New York Times, November 15, 2016, http://www.nytimes.com/aponline/2016/11/15/us/ap-us-islamic-state-americans-minnesota.html?_r=1.